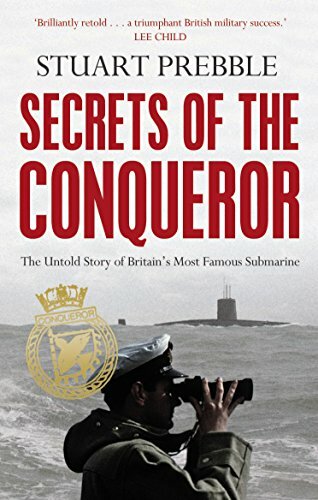 HMS Conqueror is Britain’s most famous submarine. It is the only sub since World War Two to have sunk an enemy ship. Conqueror’s sinking of the Argentine cruiser Belgrano made inevitable an all-out war over the future of the Falkland Islands, and sparked off one of the most controversial episodes of twentieth century politics. The controversy was fuelled by a war-diary kept by an officer on board HMS Conqueror, and as a young TV producer in the 1980s Stuart Prebble scooped the world by locating the diary’s author and getting his story on the record. But in the course of uncovering his Falklands story, Stuart Prebble also learned a military secret which could have come straight out of a Cold War thriller. It involved the Top Secret activities of the Conqueror in the months before and after the Falklands War. Prebble has waited for thirty years to tell his story. It is a story of incredible courage and derring-do, of men who put their lives on the line and were never allowed to tell what they had done. This story, buried under layers of official secrecy for three decades, is one of Britain’s great military success stories and can now finally be told.